We have that “roll” paper at our house, but really you could use any kind of paper you’d like. I just taped a large piece of paper to the table (I tape it so he doesn’t have to worry about it sliding around and also so it doesn’t fall on the floor and make a huge mess 🙂 ). I picked out some red paint and some white paint and put a little of each color on a paper plate. I then let him have at it! 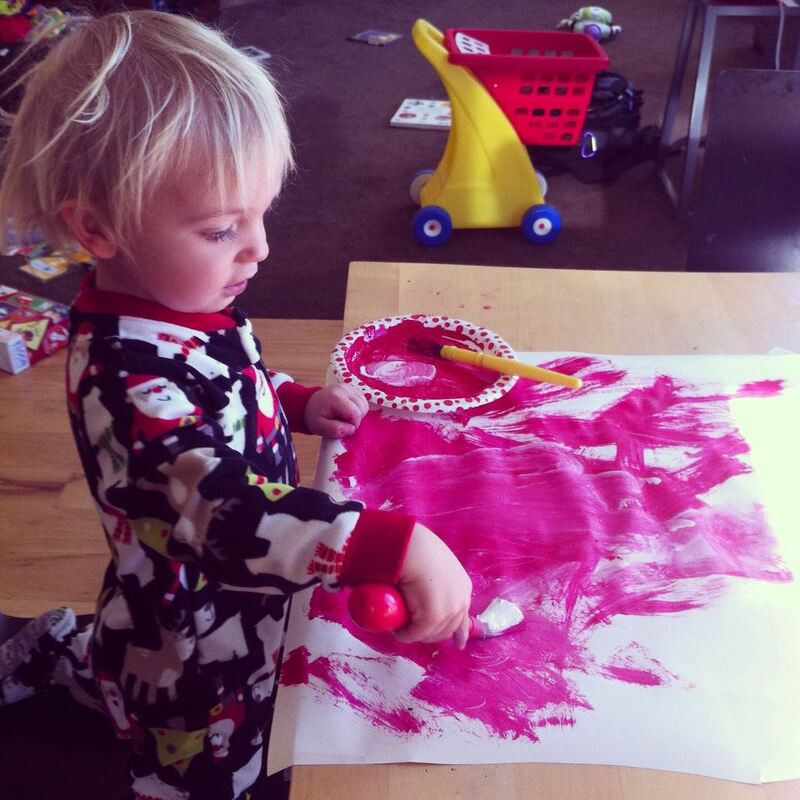 He did really love painting and the mixtures of his colors made for a fun Valentine-y mess :). 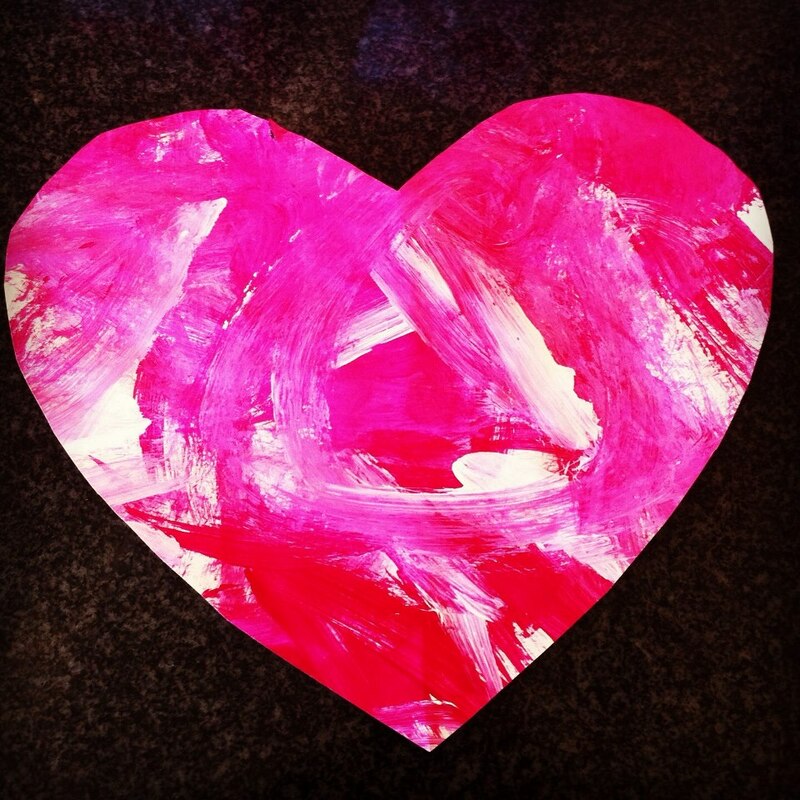 I let his paper dry and then cut out some hearts… TADA!